Google Adwords is a type of pay per click (PPC) marketing tool that every marketer should have in their tool-belt. It allows you to advertise your products and services to web users with no upfront commitment and you only pay for clicks actually delivered to your website. You can set up your adverts to display on Google’s Search Network (the first three listings that appear in search results) or on Google’s Display Network (websites displaying Google adverts via Adsense). To start your first Google Adwords campaign, go to http://www.adwords.google.com, find the “Start Now” button, and sign up for an Adwords account. Once you’re logged in, click the “Create your first campaign” button. Next, choose your campaign type, as a beginner we recommend only selecting the “Search Networking only” option. Name your campaign. Remove the tick next to “Include search partners” for now until you have some analytical data to review your adverts performance. Next, decided how large or small a geographic area you want to target. You can choose whole countries, counties and cities. You can also choose custom designed geographical areas such as latitude-longitude coordinates or the radius around a particular address. Change the default “Big strategy” to “I’ll manually set my bids for clicks.”. This gives you more control and will enable you to obtain a greater understanding of how Adwords works. Headline: up to 25 characters of text. Include your keyword in your headline as more people click on headlines containing their keyword search term. 2nd line: up to 35 characters. Use this space to describe the benefits of your product or service. 3rd line: up to 35 characters. Use this space to describe a key feature or offer of your product or service. 4th line: your display URL. Your display URL has to be the same domain as your site, but doesn’t necessarily have to be the specific landing page that you take people to. A good idea here is to use a tracking URL to give you additional analytical data. 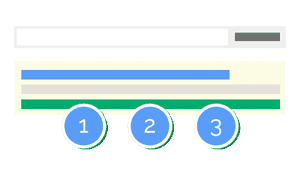 Next you will need to insert your keywords into the keyword field, Paste these in, one set at a time, using the plus signs, brackets and quotes to see how many searches of each type you get. Be careful not to select hundreds of keywords for now. Start off small. This way you can analyse your keywords closely and determine which ones are and aren’t working for you. Set you maximum default bid (your cost per click) whilst remembering that every keyword will need a bid price of its own. It is also important to remember that low cost keywords will stretch your budget further, whilst high-priced keywords will exhaust your daily budget quickly. If your budget is used up, you risk your advert only being seen part of the day rather than the full 24 hours. Double check your ad and keywords to be sure they are a good match. Then check your cost per click to ensure they meet with your aims for your adverts. Lately double-check your daily budget to be sure you don’t accidentally drain your marketing budget immediately. As soon as you confirm your payment information your adverts will be submitted for approval and begin showing. Now it’s time to learn some basic do’s and don’t to ensure your first Google Adword adverts are set in the right direction. Have an open mind and test different headlines and lines of your ads. Focus on the exact keyword you want to get clicks on. The more specific these are, the cheaper and more effective they become. Point your advert to a landing page on your website rather than a generic page such as your about us page. Your landing page should at least capture an email address for the money you are spending on Google Adwords. Always follow the rules to the letter. There are regular updates to these, so make sure you read them and follow. Continuously monitor, analyse and amend your adverts to make them more effective. Point your adverts to a one page website, this will never be approved by Google. Try to get clicks that send the visitor to another advert. This is called arbitrage and you result in your account being banned. Make low quality, poorly thought out landing pages that aren’t even related to the ad. Write headlines or lines just to get clicks. That is not the aim of the game. You want to attract high quality clicks, not quantity. If you need further help to get started with Google Adwords or need your current campaigns reviewing, then we would be more than happy to help. Give us a call on 01536 560 435.